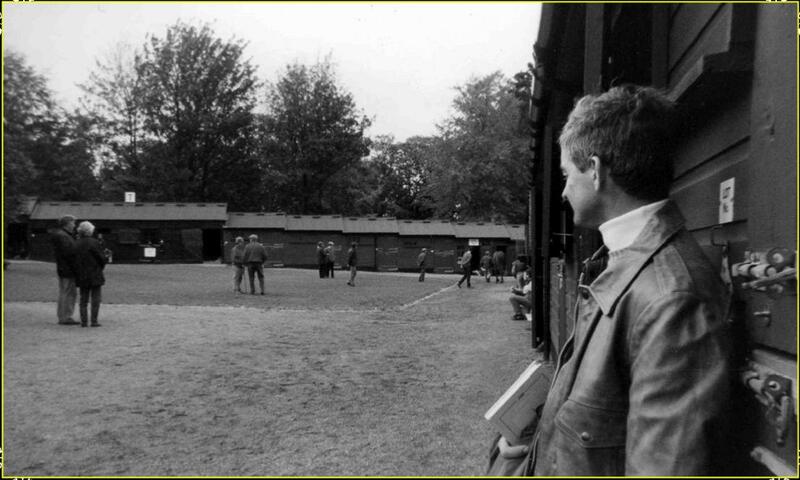 The above photograph is of me looking over some yearlings at the 1990 Highflyer Sales at Newmarket in the UK. I fell in love with the Diesis yearlings that FallMy profession took me to some interesting places. I’ve had a decent life. Enjoyed myself. Never bored. I do regret that my racetrack accident which I suffered in 1994 curtailed my training career, but so goes life, eh? Certainly, my fate is no different from many promising race prospects that are injured prematurely on the track in a similar fashion, though trainers tend to usually be less injury prone than their animals! Not in my case but then, I galloped my own horses unlike many of my peers. 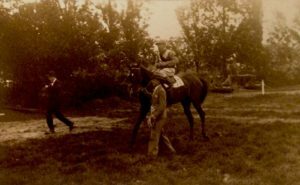 As they say: “My loss is your gain.” I am writing you my thoughts from many years of experience in training racehorses which normally would never have been divulged had I still been active in the sport. Knowledge is power and few trainers will be so kind as to freely help the less experienced in the ways of the turf. No percentages in it. My maternal ancestral stock mostly came from the United Kingdom with family lines from Wales, London, Bromley, Kent, Gloucestershire with an Irish branch on my top side. 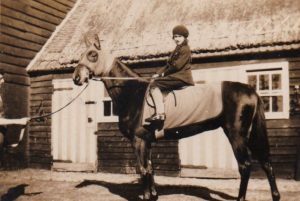 Perhaps this is one reason why I ended up training the Thoroughbred–my Brit DNA? I was bred and dropped in Missouri. 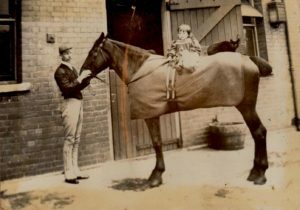 My maternal lineage of horse and medical men may have ingrained a natural interest in equine performance and medicine or, perhaps, it was just dumb luck. My great-great-grandfather was an MD, who went to Jefferson Medical College in Philadelphia and his son was an MD that went to Washington University of Medicine, St. Louis. Both were avid horsemen. 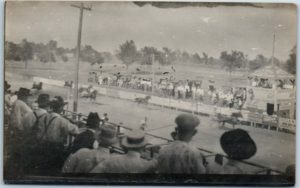 They bred the aptly named Standardbred pacer, Dr. J that took the Missouri State record of 2:13.5 in 1894 and stood the prolific Saddlebred stud, Rex Chief A that was listed in Susanne’s Famous Saddle Horses, Volume 2 (1942). I remember looking through my great-great-grandfather’s medical text up in a dark, hot attic as a wee tyke. That musty old book was an 1854 copy of the U.S. Dispensatory. It contained strange names. Names like burdock, belladonna, poke root, lobelia, pinkroot, cinchona, stramonium leaves. Names which sounded nothing like modern medicine. Yet, I sensed power in that large leather covered book. Thirty years later–one afternoon, I picked up by pure chance a vintage Herbal in an Omaha thrift shop after finishing my morning training chores at Aksarben. Those same names were there. I was intrigued. My quest for herbal Veterinary knowledge wetted. I was astounded to discover a new source for medicinal compounds right under my nose, waiting for experimentation. Around that time, modern Veterinary Medicine seemed of limited help to me. 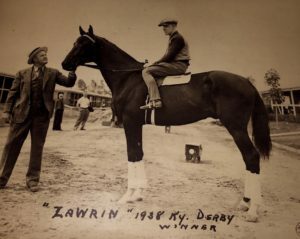 Some of my horses were experiencing epistaxis (bleeding); and the best the profession could offer was lasix. Studying the traditional roots of all modern medicines couldn’t hurt. I was hooked. I first straddled a horse at age 6. 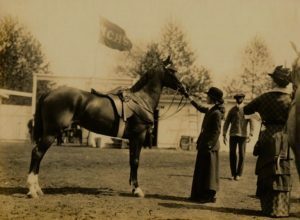 I trained and exhibited American Saddlebreds throughout my adolescence. I concentrated on a Veterinary curriculum in college, receiving a degree in the Animal Sciences from the University of Missouri, College of Agriculture, Columbia in 1973. 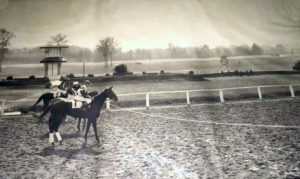 Upon graduation, I worked under two racing Hall of Famers: Joe O’Brien and Del Cameron. 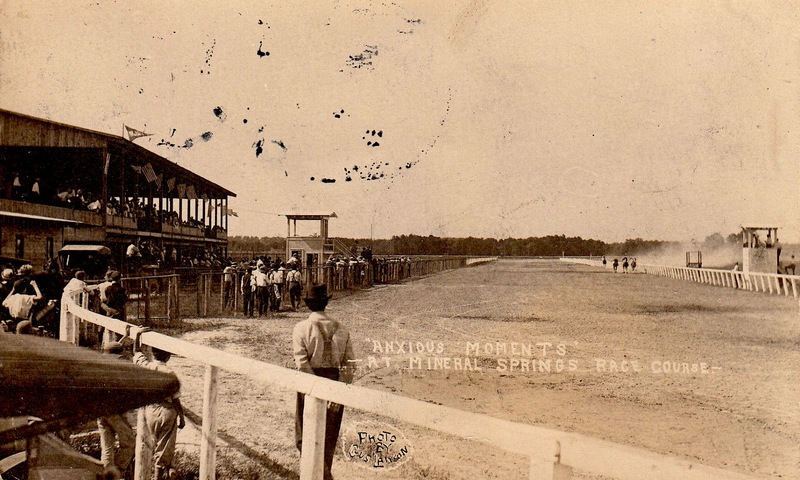 I later took over the Tic Wilcutts stable, racing on the Delaware, Pennsylvania, Maryland circuits. 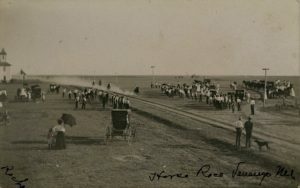 I spent the next 15 years training and racing Standardbred harness horses along the Eastern Coast–wintering at the Pinehurst, North Carolina training colony between campaigns. In 1989, I made a jump over to Thoroughbreds which allowed me to move back home to the Midwest, racing in Chicago, Iowa, Minnesota, Nebraska, and Kansas. Another reason for this change was my disgust with the seeming unimportance, the Standardbred racing industry treats its trainers. 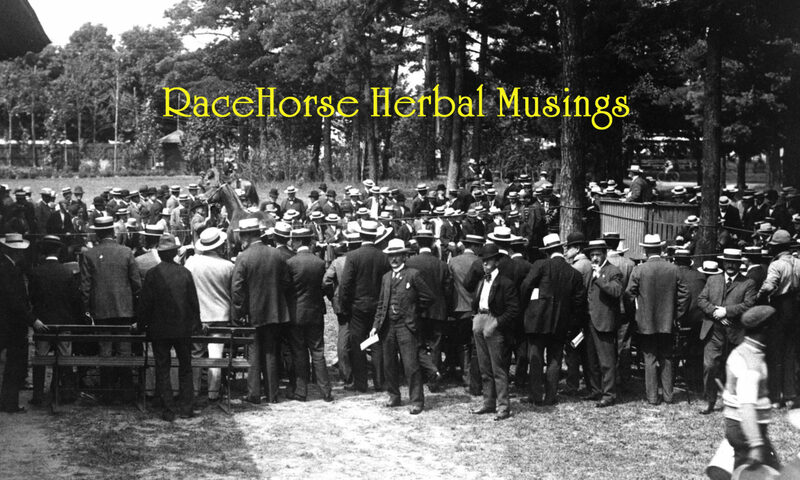 Most of the recognition in that sport goes to harness horse drivers at the expense of the conditioners. I was ready for a change. Thoroughbreds seemed like an interesting transition where I could take some of my harness training skills accenting stamina and soundness and, maybe, obtain an advantage. I took out my Thoroughbred trainer’s license in the Fall of 1991 and campaigned a small stable of runners in the Midwest. I galloped, groomed, shod, and trained some homebreds for Hestenhill Farms, plus a few for myself. I was overall happy with my racing results and even more elated with the soundness of my young horses. For example, I never experienced one case of bucked shins from my youngsters. One of my better efforts was training a cheap claimer, purchased for $900, to two track records at a mile & half and two miles in 1992-93. During the year of 1994, after racing a string at Aksarben, I shipped to the Woodlands Race Course where I was put in a wheelchair in a freak galloping accident that August. I am now retired to the family farm with time to devote to the study and thought of Veterinary Herbalogy. I was born under the sign of Sagittarius. To muse a bit here, uncannily, much of that myth seems to have a connection with my life. Chiron was the most famous Greek Centaur. He was begot by Kronos while assuming the image of a horse upon mating with the sea nymph, Philyra. Chiron was the Sagittarian that the Greeks sent their children to for knowledge, and he was renowned for his healing wisdom. One of his students, Asklepios, the herbalist, was considered the father of medicine and whose serpent entwined staff remains to this day the symbol of the physician. Chiron was eventually impaled with a poisoned arrow resulting in an incurable wound; allowing him to understand far more intimately the nature of eternal pain and injury. He becomes a healer through learning the secrets of herbs—yet he could never heal himself. My “poisoned arrow” was landing squarely on my spinal cord on the track resulting in incurable paraplegia, but even more like an “arrow wound”, they used a trocar to penetrate my rib-cage to treat a collapsed lung resulting in a damaged nerve. To this day, it feels like an arrow in my side. As with Chiron, this injury transformed me. I live with my injury and pain, knowing it cannot be cured. Like Chiron, I seek herbal wisdom and try to impart that knowledge to those in need. Perhaps in some sense, Chiron is my spirit guide.